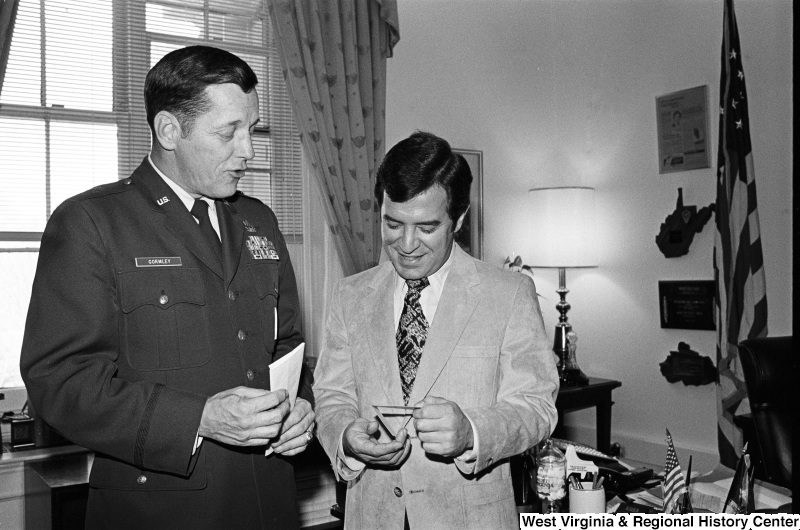 Congressman Rahall talks with U.S. military officer Gormley. 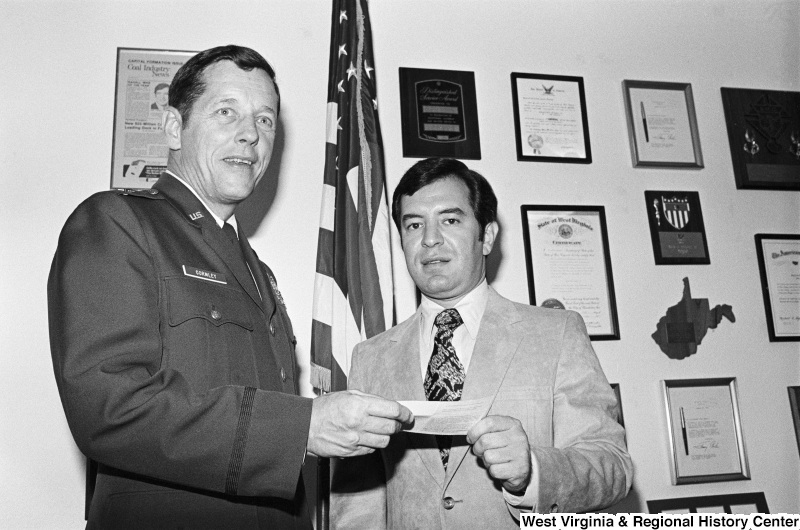 Congressman Rahall holds a document with U.S. military officer Gormley. 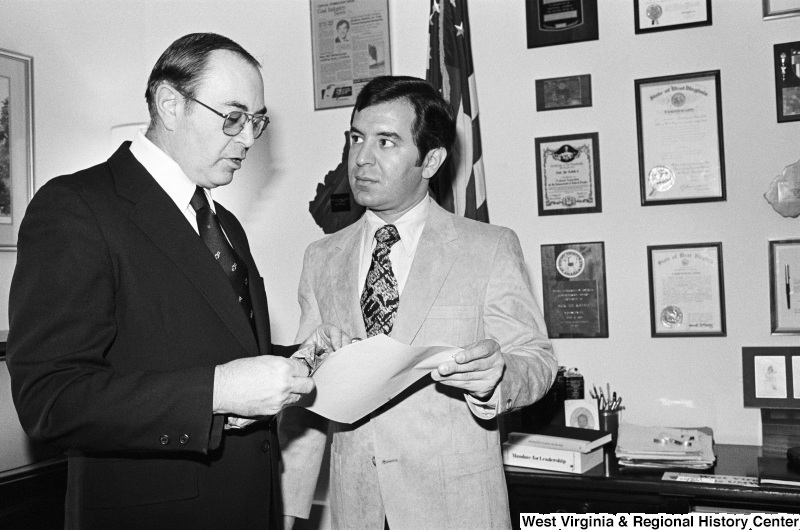 Congressman Rahall holds a paper and meets with a man in his office. 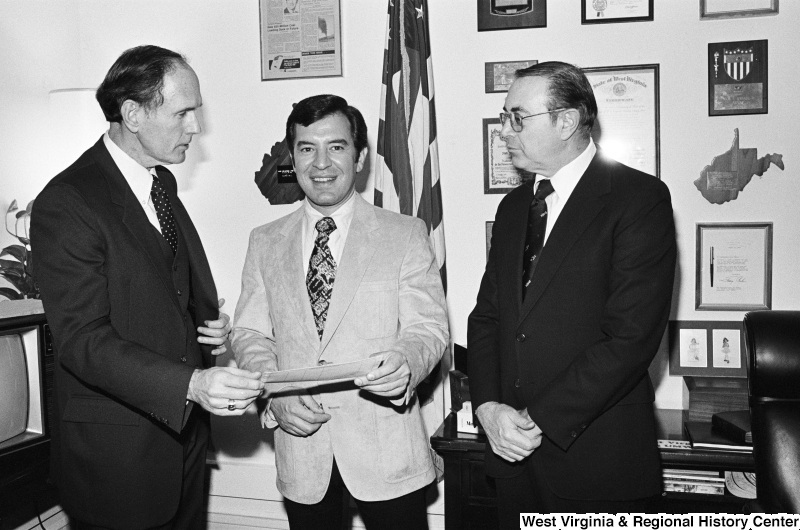 Congressman Rahall holds a paper and meets with two men in his office.